This is a beautiful time of the year to tour the Holy Land. Usually warm but not too hot with almost no chance of rain. 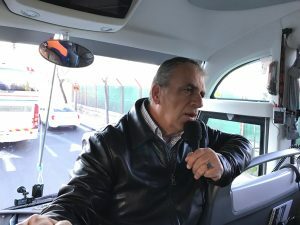 Also still before the huge crowds hit Israel. We have the best Mass sites selected for you and we will visit every Rosary site and pray that Mystery while there. Join us! 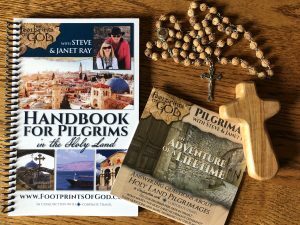 Steve and Janet have partnered with the same Catholic Nazarene guide for all their trips over the last decade. Amer is a practicing Catholic and a walking encyclopedia. We consider him the finest Christian guide in the Holy Land–and we are not alone in that assessment. Having a Christian guide is very important. 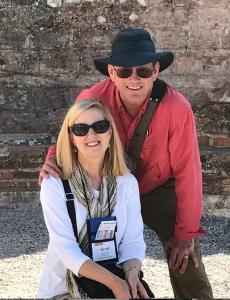 You’ll enjoy Steve and Janet’s trusted hotels and delicious meals including some amazing dinner experiences away from the typical hotel buffets. Wine is provided with all dinners along with a wide range of cuisines to experience the Holy Land to it’s fullest. Daily Mass at the holiest sites and we pray every Mystery of the Rosary where it took place. Also, pray the Stations of the Cross on the way to Calvary and Mass at the Tomb. Enjoy a group of like-minded Catholics from around the country for a marvelous pilgrimage through the land of our Lord and Our Lady. Our priest will be one of Legatus’ excellent chaplains. To be announced soon. *See brochure for complete details. Child discount available.